AK, Ltd. is a 100% woman owned business located in Portland, Oregon. 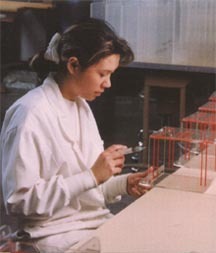 AK fabricates a wide range of standard and custom plastic products for use in safety and industrial markets, laboratories, "cleanrooms", and retail point of purchase displays. AK is achieving continued growth through the expansion of production facilities, the addition of state-of-the-art computerized equipment, and through the use of new materials and innovative design. AK, Ltd. specializes in plastic fabrication to meet the needs of all industries. Our in-house fabrication assures high quality products and complete customer satisfaction. 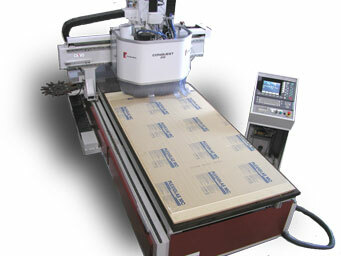 Our multi-head CNC Router is linked directly to our CAD system, allowing accuracy and precise consistency of products. Whether your job calls for large or small production runs, you can be assured of high quality and prompt turn-around times. If you would like a complete set of literature, please call. And remember, if you don't see what you need, we do custom work. Our design team is always available for assistance with custom projects and specialized product development. The AK, Ltd. Computer Department is proficient in current drawing formats. Our staff can work from your drawings and specifications, provide suggestions on proper material selection and thickness, develop a manufacturing process, special applications if necessary and design ideas that will best fit your needs. Our plastic products can be joined with wood, metal, stainless steel or other materials. Precision metal fabrication is also available! High impact PETG material is 19 times stronger than regular acrylic, has chemical resistant properties, and is used on most standard products. Full length hinges on dispensers. On some of our heavy-duty dispensers, we use full length hinges. To ensure long-life and durability, AK installs support stays and rods. Most manufactures skip this step due to cost, yet we still have a very competitive price. 100% Guaranteed! AK will guarantee the product quality 100%. If you're not 100% satisfied in any of our products, we'll replace or return the item. How many manufactures will say that?  Safety and Industrial Products including dispensers and holders for ear plugs, eyewear, gloves, bouffants, hairnets, face and respiratory masks, etc.  Laboratory, Medical and Dental units for Protective Benchtop and Machine Splash Shields, Wipe Holders, Parafilm Dispensers, Glove Dispensers, etc.  Displays, Fixtures, Point-of-Purchase items including Sign Holders, Literature Holders, Suggestion Boxes, Ballot Boxes, Candy/Coffee Dispensers, Reader Boards, etc. 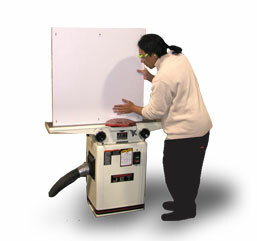 Accurate sawing, routing and drilling are essential in providing you with quality parts. PETG- (Polyethylene Terephthalate Copolymer) high impact material that is 19 times stronger than acrylic and has a great chemical resistance. PETG has been approved by FDA and NSF use in the medical and food service industries. ABS (Acrylonitrile-Butadine-Styrene)- textured black or white. Rigid high impact strength and abrasion resistance. Acrylic- outstanding optical clarity. Available in clear, white, black and different shades of tint. EXPANDED PVC- Variety of colors, high impact strength, good chemical resistance, lightweight. HDPE (High Density Polyethylene): White, excellent abrasion resistance, high impact, chemical resistance. HP (Multipolymer)- clear, lightweight, chemical resistance, optical clarity and high impact strength. IMPACT ACRYLIC- 30% greater impact strength than regular acrylic. POLYCARBONATE- clear or smoke tint. Especially unbreakable with high dielectric properties. POLYPROPYLENE- White only. Chemically and acid resistant, high heat resistance (autoclavable) excellent dielectric properties. STYRENE- Clear or white. Durable and rigid, good chemical resistance, high impact and dielectric properties. HARD-COAT ACRYLIC- hard exterior coat which is mar and abrasion resistant. HARD-COAT POLYCARBONATE- hard coat exterior finish is mar and abrasion resistant and UV resistant. Approaches glass in performance with the added amenity of being unbreakable. STATIC-DISSIPATIVE PLASTICS- wide range of plastics including acrylic and polycarbonate that have anti-static coating to prevent buildup of electric charge. Excellent ESD control for static sensitive needs.